The Originals: Leah Pipes, Sebastian Roché Returning for Series Finale!!! The Originals is bringing back some characters for its upcoming final season, and while the show is yet to get a return date from The CW, the cast and crew are still giving a lot of information away on social media. Leah Pipes took to her Instagram story earlier this week to share a video from the set, and the timing of the video came while the spin-off of The Vampire Diaries was filming its series finale. 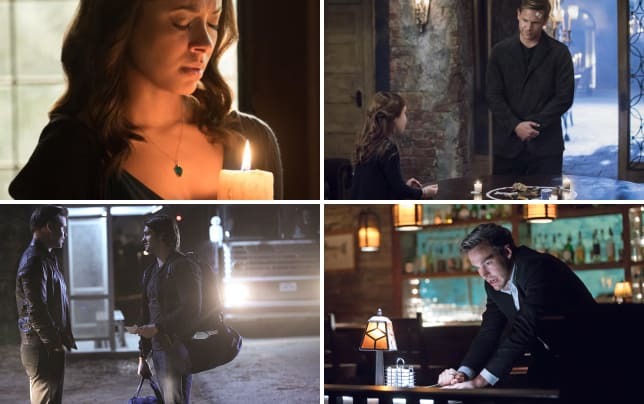 Pipes was last seen as Cami on The Originals Season 4 Episode 2 as a figment of Klaus' imagination while he was under lock and key after Marcel took the French Quarter back from him. Cami's emotional death rocked the show during The Originals Season 3 when Lucien took a bite out of her and the characters failed to find a way to save her before she succumbed to her injury. If you watch The Originals online, you will know that it was around the time Klaus and Cami were getting closer together, so the death came as a big shock to fans of the series. Pipes' Instagram story also confirmed the return of Sebastian Roché as Mikael. Klaus took his father out of the equation back on The Originals Season 3, so it looks like we may be in for seeing some of the characters pass over to the peaceful realm witnessed on the series finale of The Vampire Diaries. Pipes and Roché are not the only two past characters returning. Candice King, who played Caroline Forbes on the parent series and had a striking connection with Klaus, is tapped to appear in multiple episodes of the show's farewell season. The reason for her appearance is that the show will be taking to the future, with Hayley and Hope residing in Mystic Falls while Hope attends the school Caroline and Alaric opened for the young and the gifted. It was confirmed earlier this year that the series was ending after five seasons, but a spin-off series featuring the character of Hope is said to be in the works. It's unclear whether this would be for the 2018-2019 season or further down the line. Over to you, The Originals Fanatics! What do you think of this news?